In the last post of earned-value.com (http://www.earned-value.com/2011/03/john-nashs-theory-applied-to-project.html), I have suggested that behavior of stakeholders explains the failure of a big number of projects and I have explained this from the perspective of Nash's Theory. I have decided to show an example in order to support that thesis in this post. 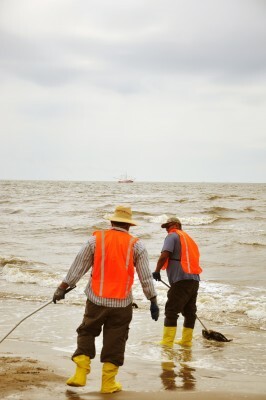 The story of the Deepwater Horizon Oil Spill is well known by the majority of people. Let me use it. There were at least three important stakeholders involved in this project: the BP administration, the employees of BP and Society at large. After the oil spill, it is clear to each one that the disaster could have been avoided and that the result wasn't good business for anybody. What have we painfully learned about stakeholder management and Nash's equilibrium?. The project failed. The risk management was poor, the contingency plans were outdated and the costs have been enormous for everybody. The administration of BP tried to take on more that they should have, with a big risk of earning less than they could have. From the perspective of the employees of BP, I'm sure that many of them were victims but in certain ways they were victims of ambition and obedience of a few. There is no excuse to be part of a project team that is putting Society in that kind of risk. From the perspective of Society, BP has been feeding the monster of oil consumption. Society has been trying to take on more than they should, with a big risk of earning less than they could. If the manager of this project had decided to invest more efforts in risk management, BP would have invested more money in mitigation and contingency plans. If the BP administration had focused on the long term earnings, they would not have risked so many lives and the ecosystem. Furthermore, they would have earned more money than they finally did. If Society had developed alternative energy sources, we could have avoided the extraction of oil from deepwater. Learned Lesson: Each project has an equilibrium between stakeholders. If a stakeholder wants to break the deal and breaks it unilaterally, he/she will risk earning less than he/she would earn without breaking the deal. There is an unexplored area related with Project Management that could be seen from the perspective of John Nash's theory. 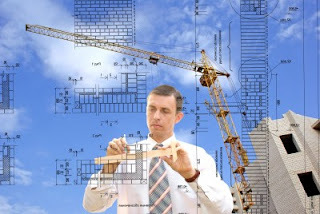 Any Project Manager with any experience knows how difficult it is to deal with the stakeholders of a project. This knowledge area is commonly named "Stakeholders Management". I don't have statistics about it but I'm pretty sure that the behavior of stakeholders explains the failure of a big number of projects. John Nash has told us why this happens and how we can develop a model to predict it. First of all, we need to understand that a project is a conflict. Period. More than defining a project as something that can have a conflict, we can see a project as a conflict by itself. Let's remember that a conflict could be defined as a situation where two or more persons, or groups of persons, have interests perceived like opposites. The majority of projects are just like this. It starts at the moment when somebody pays and somebody receives payment. Who doesn't want a bigger payment?. Who doesn't want a bigger scope?. That's all, a project is a conflict. A conflict is named "a game" for mathematicians. Nash's Equilibrium of a game is an agreement that nobody can break discretionally without losing. That means, if somebody wants to break the deal and breaks it unilaterally, he/she will risk earning less than he/she would earn without breaking the deal (See the Prisoner's Dilemma http://en.wikipedia.org/wiki/Prisoner's_dilemma). Nash said that every finite game has at least one Nash's Equilibrium. Well, I have the intuition to say, and I often do, that the triple restriction (scope, cost, time) is a Nash's Equilibrium of a game formed by the relationship of the stakeholders of a project. Many times the failure of a project starts with the unilateral decision of a stakeholder trying to take more than he can without breaking the "deal". As a result, it is common that the group or society obtain less than they could obtain in Nash's Equilibrium. If a mathematician reads this, please help me develop the model to prove this and increase the probability of success in many future projects. The Schedule Performance Index, SPI = EV / PV, is commonly used as value to monitor how a project achieves the milestones in a timeline. However, this indicator is less effective when a project nears the end. It is clear that when EV is close to PV, the indicator tends to 1, which is the ideal value. Even when a project is completed late, the SPI indicator always ends in 1. To understand the problem, consider what happens to the analog index Cost Performance Index, CPI = EV / AC. Clearly, when AC passes PV, ie, there is economic loss, then EV will never reaches or passes AC, and then, if a project ends with economic losses, the CPI indicator is always <1, even after completion project. 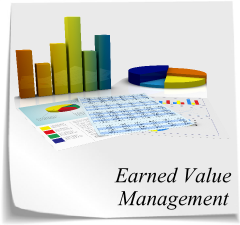 To solve the problem, the literature suggests to use a value called Earned Schedule ES. It is possible to find adequate information on the use of this indicator in http://www.earnedschedule.com/.